This Summer, Give Your Child "The KNACK"! Give Your Child “THE KNACK”! Lloyd Irvin’s Karate Sports Summer Camp! "How To Give Your Child Better Grades, Better Self Esteem, Better Confidence and a Head Start In Life!" At Lloyd Irvin’s Karate Sports Summer Camp we're all about FUN! Your kids will absolutely LOVE and be excited about going to camp. It's no wonder we've been voted the number one summer camp Six times in a row. AND 70% of our students each year are Repeat children from the summer before! You're child will have tons of fun! Nothing is worse for a child than being bored. And that's exactly what they'll be the whole summer vacation if they just stay home and play video games, watch movies or wander around their neighborhood! And the worse part: Boredom often leads to making bad decisions! At LIMAA, we teach your child Thai-Jitsu so she'll be able to defend herself (or a loved one) if she ever needs to. All our instructors are competent black belts (many are multiple black belts in many different styles of martial arts!) and have the experience and knowledge to train your child correctly and safely! Your child won't learn self defense being bored to tears, sitting at home during summer vacation. All our instructors have experience teaching children in a controlled, safe environment. They like to see kids have fun but know when to step in and say "wait a minute" when situations start to get reckless and potentially dangerous. Unless you spend money on a babysitter or send your child to some form of daycare, there'll be no one to look after them and make sure they're being safe! Our full time instructional staff is committed to making sure your child has a fun, educating, and safe summer with us. All our instructors are black belts and have had special training for dealing with younger children. There's no one more qualified to give your child the best summer vacation of their life! Rec Center? Full time, part time and a lot of volunteers who may or may not be qualified to make sure your child has a fun AND safe time this summer. Other Sports? Most recreational sports teams have volunteer coaches who may or may not be qualified and ready to look after your child. You simply can't beat the qualified, experienced staff at Lloyd Irvin’s Karate Sports Summer Camp. 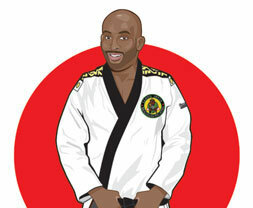 Lloyd Irvin’s Karate Sports Summer Camp will strengthen your child's fitness 'weak links' whatever they may be! Playing video games and watching TV for hours on end provides no fitness benefits ... in fact, the summer time is when kids put on the most weight! Rec centers can be good exercise ... but children need supervision to keep them on track, safe and out of trouble. And although most sports will give your child better fitness, nothing comes close to the way the martial arts will train your child to be strong, flexible, agile, quick and coordinated! "There is an increase in his self-esteem and his confidence." "I would highly recommend Lloyd Irvin’s Martial Arts to another parent." The staff at the Lloyd Irvin’s Martial Arts Academy is very professional. My experiences have been nothing but positive. Anytime I had to call or to talk to the instructor with any concerns it’s been a very positive experience they always conducts themselves in the most professional way and it’s been nothing but advantages and positive experiences, nothing negative no disadvantages at all. I would highly recommend Lloyd Irvin’s Martial Arts to another parent. I would recommend the aftercare if they weren’t interested in the martial arts program. Particularly the martial arts program; I would recommend it for parents and children because the adults classes as well as the children classes. I think it is a great opportunity to do things together with your child which they seem to really like it, they think it’s kind of cool when their parents participates in the same thing they are participating in. "Back in kindergarten last year, the teacher said that his attention span is really good. A lot of the children wander off, but since he has been here, he knows that he has to look directly to the teacher to talk. She told me last year that she had noticed a change from January to June. She could understand his english and things more clearly. He is right there with his undivided attention with his teacher. Angelo was very quiet. He wouldn’t speak up; he wouldn’t take up for himself. He’s beginning to speak louder now, he is speaking more clearly because Grandma sometimes couldn’t understand him. It’s like he is an entirely different little grandson, that’s what he is. I can see a big change, I really can He is really growing to be 6 years old. I can see the change. I think I have another Master Lloyd on my hands, I hope so!" "The loving family atmosphere provides a safe haven!!" "Five years ago when I chose to place my son Malachi Edmond in Lloyd Irvin’ Martial Arts Academy I didn’t know what a tremendous impact it would have on his life. The loving family atmosphere provides a safe haven that Malachi loves to be in daily. The highly respected staff, not only teach him martial arts, but are excellent role models as well. Observing their behaviorism/mannerism Malachi is learning excellent social skills, how to become a leader not a follower and to respect others.